The University of Plymouth is a public university based predominantly in Plymouth, England where the main campus is located, but the university has campuses and affiliated colleges across South West England. With 21,645 students, it is the 38th largest in the United Kingdom by total number of students (including the Open University). It has 2,915 staff. The university's first Vice-Chancellor was John Bull. He was succeeded by Roland Levinsky until his death on 1 January 2007, when he walked into live electrical cables brought down during a storm. He was temporarily replaced by Mark Cleary (now VC of the University of Bradford), and then by Steve Newstead. Wendy Purcell became VC on 1 December 2007. She was placed on leave on 2 July 2014 by the University's governors while an internal review is conducted. A month later the Higher Education Funding Council for England requested an independent external review of the university's governance. In August 2014, the university was instructed by HEFCE to undertake an external review of its governance after vice-chancellor, Wendy Purcell was placed on leave. When university status was gained in 1992, the university was based in various locations. Under Vice-Chancellor Levinsky the university began a policy of centralising its campus activities in Plymouth. The Exmouth campus – Rolle College – housed the Faculty of Education and relocated to the new Rolle Building in August 2008. The decision was unpopular with students and the town of Exmouth itself. There were several protest marches and a campaign to keep the campus open. Completed developments include Portland Square, a library extension, refurbished and new laboratory and teaching facilities in many of the campus buildings, halls of residence near the Business School and a new £16 million Peninsula Medical School headquarters at Derriford, in the north of the city. A Marine Building has been constructed behind the Babbage Building to house civil engineering, coastal engineering and marine sciences. An exception to the trend of centralising activities are the university's extensive activities in education for the health professions. In addition many of its students are taught at Further Education Colleges throughout Devon, Cornwall and Somerset, such as South Devon College. A building which opened in 2008 is shared between the Peninsula Medical School and the Faculty of Health and Human Sciences. The Roland Levinsky Building, designed by architects Henning Larsen with Building Design Partnership, is clad with copper sheets in a seamed-cladding technique, is nine storeys high and has 13,000 square metres (140,000 sq ft) of floor space. The Faculty of Arts, previously based in Exmouth and Exeter moved here in August 2007. The building contains two large lecture theatres, the Jill Craigie Cinema, used by the film students to display their films and for showing of films to the public; three performance rehearsal studios; digital media suites; and a public art gallery which displays work by local artists groups, students and famous artists. University-managed or approved accommodation in the first year of study is guaranteed for all applicants who choose Plymouth as their first choice institution.The university provides an approved accommodation database, which is available to all continuing students. Special accommodation arrangements can be made for students with disabilities or medical conditions. Plymouth is a modern university that has undergone a great deal of development, including several new buildings. There are five faculties which each contain a number of schools. The Arms, Crest, Badge and Supporters forming the university’s Coat of Arms were granted on 10 April 2008, in Grant 173/189, by the College of Arms. The books represent the university’s focus on learning and scholarship. The scattering of small stars, represent navigation, which has played a key role in the history of the city and the university. The scallop shells in gold, represents pilgrimage, a sign of the importance of the departure of the Pilgrim Fathers from a site near the Mayflower Steps in the Barbican aboard the Mayflower in 1620. A Pelican and a Golden Hind support the shield and reflect both the original and later, better known, name of Sir Francis Drake’s ship. 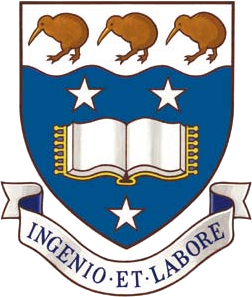 The crest contains the Latin motto, "Indagate Fingite Invenite" which translates as "Explore Dream Discover" and is a quote from Mark Twain, reflecting the university's ambitions for its students and Plymouth's history of great seafarers. The Letters Patent granting Arms to the University of Plymouth were presented by Eric Dancer, Lord Lieutenant of Devon, in a ceremony on 27 November 2008, in the presence of Henry Paston-Bedingfeld, York Herald of the College of Arms, the Lord Mayor and Lady Mayoress of Plymouth, Judge William Taylor, the Recorder of Plymouth, and Baroness Judith Wilcox. The Coat of Arms are rarely seen in use, other than at graduation. The university uses the 'with Plymouth University' brand on stationery and signs and keeps the Coat of Arms exclusive. The use of the arms is therefore restricted to graduations and other formal ceremonies, degree certificates and associated materials and the exclusive use by the Office of the Vice-Chancellor. A wide variety of undergraduate and postgraduate programmes are taught at the main city campus in Plymouth. The university scores well in law, psychology, geographical sciences, computing (including digital media) and computer science, fine art and art history. Key developments include: the creation of a new Business School; bringing together complementary subjects in a new combined faculty of Science and Engineering; and creating the largest Marine Science and Engineering School in Europe. This faculty is host to the School of Art, Design and Architecture, the School of Humanities and Performing Arts, and the Plymouth Institute of Education. Arts subjects are usually taught in the Roland Levinsky building and the Scott building, a 19th-century building located next to Roland Levinsky which was modernised externally in 2008 to keep to the university's current design. The faculty offers degrees in Architecture, English, History, Art History, 3D Design, Fine Art, Music, Photography, Media Arts, Theatre & Performance and Dance Theatre. Postgraduate research degree supervision is available across the disciplines in all three Schools, with specific expertise in artistic research. Home to the Schools of Psychology, Social Science and Social Work, Health Professions, and Nursing and Midwifery. As well as PGCE programmes, the Faculty offers degrees Adult Nursing, Child Health Nursing, Mental Health Nursing, Midwifery, Dietetics, Optometry, Social Work, Occupational Therapy, Physiotherapy and Paramedicine. This faculty is home to the School of Biological and Marine Sciences, the School of Computing, Electronics and Mathematics, the School of Geography, Earth and Environmental Studies, and the School of Engineering. The university provides professional diving qualifications on a number of its courses, the only university in the country to do so. The university's diving centre is located within its Marine Station teaching and research facility based next to Queen Anne's Battery Marina, and has a full-time team of instructors and dedicated boats and equipment. In October 2005, The Sun newspaper voted the university as having the most bizarre degree course in the country, the BSc (Hons) in Surf Science & Technology. Commonly known as "surfing", this course is actually centred on coastal/ocean sciences, surfing equipment/clothing design and surfing-related business, which has its popularity increased by the geographical location of the university. The faculty is home to the Plymouth Business School, the School of Law, Criminology and Government, the Plymouth Graduate School of Management and the School of Tourism and Hospitality. Plymouth's Business School has most notably been very successful in national rankings by subject, where subjects like economics have ranked 16th, according to The Guardian. Plymouth Graduate School of Management also offers Maritime Studies through the B.Sc. (Hons) Maritime Business and Maritime Law and the M.Sc. in International Shipping. The university has strong links with the cruising industry, offering courses in the Maritime and Cruising sector. The school offers BSc (Hons) in Cruise Management, where students can opt to take a year out to work with P&O or Princess Cruises for a period of two, four-month periods. Medicine and Dentistry were first established as part of the Peninsula College of Medicine and Dentistry in 2000, which operated as a partnership between Plymouth University and the University of Exeter. In January 2012 the two founding members of the Peninsula College of Medicine and Dentistry (PCMD) the Universities of Exeter and Plymouth, outlined their plans to expand independently and grow the success of the now nationally recognised professional health education provider. These changes came into effect from the start of the 2013 academic year. PUPSMD consists of the School of Medicine, the School of Dentistry, and the School of Biomedical and Healthcare Sciences. The Academic Partnerships network is a collaboration between the university and local colleges across the South West and South of the country, from Penzance to Jersey. There are hundreds of higher education courses available providing opportunities for progression to other qualifications. For example, someone who has spent two years studying for a foundation degree at their local college – and who has successfully passed their exams – can move on to the final year of a full honours degree at the university. Plymouth is the main sponsor of Marine Academy Plymouth. It is also the main sponsor of UTC Plymouth, which opened in September 2013. The University of Plymouth ranks 503rd in the CWUR World University Rankings 2017 In The Times and Sunday Times University League Table 2018, the University of Plymouth's world ranking was listed as joint 701st and 601-650 in QS World University Rankings 2019. Times Higher Education ranked Plymouth 401-500 in its World University Rankings 2017–18, and ranked it 65th among 200 institutions in its World Young University Rankings 2017. The results of the 2014 Research Excellence Framework showed that, overall, Plymouth was ranked joint 66 of 128 UK institutions, rising 9 places from the previous Research Assessment Exercise in 2008. Across all assessed subject areas Plymouth showed substantial evidence of 3* (internationally excellent) and 4* (world leading) research, and this was particularly evident in Clinical Medicine, Computer Sciences & Informatics, Psychology, Psychiatry & Neuroscience, and Earth Systems & Environmental Sciences, where 79-85% of research was ranked as 3* or 4*. Plymouth was the first university to be awarded the Social Enterprise Mark, in recognition of working as a genuine social enterprise, caring for communities and protecting the planet. Staff include; political scientists Colin Rallings and Michael Thrasher, who have written extensively on electoral systems, voting behaviour, polling results and British politics. Other notable academics include; mathematician Richard Jozsa; health informatician Maged N. Kamel Boulos; composer and filmmaker Alexis Kirke; Professor in Computer Music and composer Eduardo Reck Miranda; Roy Lowry who in August 2006 broke the world record for launching the most rockets at once; Iain Stewart who has fronted BBC documentaries such as Journeys into the Ring of Fire and Journeys from the Centre of the Earth; Alexis Kirke an interdisciplinary performer and artist; sociologist John Scott, a sociologist focused on elites, power, social stratification, and social network analysis; and Jacqueline Andrade, professor of psychology. Alumni include the world's youngest single-handed cross-Atlantic sailor Seb Clover, historian Philip Payton, BBC wildlife presenter Monty Halls, television presenter Michael Underwood, life peer Judith Wilcox, Baroness Wilcox, (Plymouth Polytechnic), travel writer and physician Jane Wilson-Howarth, children's author Steve Augarde, artists Sue Austin, Julian Bovis, Pen Dalton, Andrea Polli, Hatice Güleryüz, computer scientist at IBM Mandy Chessell, MP for Bristol North West Darren Jones, politicians Laura Anne Jones, Mark Williams and Darius J. Pearce, marine biologists Heather Koldewey and David Sims, meteorologist Clare Nasir, members of the band Meeky Rosie, Indonesian businessman and politician Jaka Singgih. The University of Plymouth Students' Union, usually abbreviated "UPSU" is a non-profit making organisation. Each year, students elect the officers who will represent them for the following year. The Union offers a range of services and stages a number of events throughout the year. As well as events, the Union is the base for most of the sports teams and societies at the university. The Students' Union has a garden that has been set up by the Centre for Sustainable Futures (CSF) which the students can use. ^ "History of Higher Education in Plymouth". University of Plymouth. Archived from the original on 12 May 2012. Retrieved 17 April 2012. ^ Alston Kennerley (2001). "Ch. 4 Plymouth School of Navigation". The Making of the University of Plymouth. ISBN 1841020699. ^ "Plymouth University announces the appointment of Professor Judith Petts, CBE, as its next Vice-Chancellor". Plymouth University. ^ a b c d e f "Plymouth 2015/16" (webpage). Higher Education Statistics Agency. Retrieved 15 February 2017. ^ "Academic dress and gowning". University of Plymouth. Archived from the original on 8 September 2009. Retrieved 24 June 2009. ^ a b Tony Rees, Gerry Cullum and Steve & Karen Johnson (8 July 2007). "Portland Square Air Raid Shelter at Plymouth". CyberHeritage.com. Archived from the original on 7 November 2007. Retrieved 6 November 2007. ^ "Power cable kills university boss". BBC. 2 January 2007. ^ "University boss successor named". BBC. 4 January 2007. ^ "Plymouth University vice-chancellor suspended". BBC News. 2 July 2014. ^ Gallacher, Neil (5 August 2014). "Regulator calls for Plymouth University review". BBC News. ^ "Search". Times Higher Education (THE). ^ "Plymouth chosen for Prestigious Centre". University of Plymouth. 17 October 2008. Retrieved 21 October 2008. ^ "Degree courses in Marine Biology". University of Plymouth. Retrieved 24 June 2009. ^ "Teaching college closure agreed". BBC News. 11 November 2005. ^ "Medical school plans new headquarters". BBC Devon. 6 January 2002. ^ "The Roland Levinsky Building, Plymouth University". Scott Wilson website. Archived from the original on 21 April 2008. Retrieved 29 April 2008. ^ "Accommodation: residence life". Plymouth University. Retrieved 3 June 2015. ^ "FAQs: heraldry - College of Arms". Retrieved 3 June 2015. ^ "University of Plymouth – an introduction". University of Plymouth. Retrieved 21 October 2008. ^ "University guide 2013: league table for economics". The Guardian. Retrieved 11 March 2018. ^ "Peninsula College of Medicine & Dentistry". Peninsula College of Medicine and Dentistry. Archived from the original on 12 March 2005. Retrieved 24 June 2009. ^ "The CWUR League Table". The Center for World University Rankings. 24 September 2017. Retrieved 24 September 2017. ^ "The Sunday Times University League Table". Times Newspapers Ltd. 24 September 2017. Retrieved 24 September 2017. ^ "THE World University Rankings 2017-2018". Times Higher Education. 5 September 2017. Retrieved 5 September 2017. ^ "THE Young University Rankings 2017". Times Higher Education. 29 April 2017. Retrieved 29 April 2017. ^ "REF 2014: overall table of excellence" (PDF). Times Higher Education. London. 18 December 2014. ^ "University of Plymouth". REF 2014. 18 December 2014. ^ "Firework Record goes with a Bang". BBC. 16 August 2006. ^ "Fellows". Academy of Social Sciences. Retrieved 8 December 2014. Wikimedia Commons has media related to University of Plymouth. The University of Bristol is a red brick research university located in Bristol, United Kingdom. It received its royal charter in 1909, although like the University of the West of England and the University of Bath, it can trace its roots to the Merchant Venturers' Technical College, founded as a school in 1595 by the Society of Merchant Venturers. Its key predecessor institution, University College, Bristol, had been in existence since 1876. The University of Sheffield is a public research university in Sheffield, South Yorkshire, England. It received its royal charter in 1905 as successor to the University College of Sheffield, which was established in 1897 by the merger of Sheffield Medical School, Firth College (1879) and Sheffield Technical School (1884). The University of Wales, Newport, was a university based in Newport, South Wales, prior to the merger that formed the University of South Wales in April 2013. The university had two campuses in Newport, Caerleon on the northern outskirts of the city, which was subsequently closed during July 2016, and a £35 million campus on the east bank of the River Usk in the Newport city centre which opened in 2011. In 2012 the university was ranked 111th out of 120 UK universities in the Guardian League Table for university rankings, 105th out of 116 in The Complete University Guide and 104th out of 116 UK universities in the Times Good University Guide. The University of Nairobi (UoN) is a collegiate research university based in Nairobi. It is one of the largest universities in Kenya. Although its history as an educational institution dates back to 1956, it did not become an independent university until 1970. In this year, the University of East Africa was split into three independent universities: Makerere University in Uganda, the University of Dar es Salaam in Tanzania, and the University of Nairobi. The University of Exeter is a public research university in Exeter, Devon, South West England, United Kingdom. It was founded and received its Royal Charter in 1955, although its predecessor institutions, St Luke's College, Exeter School of Science, Exeter School of Art, and the Camborne School of Mines were established in 1838, 1855, 1863, and 1888 respectively. In post-nominals, the University of Exeter is abbreviated as Exon., and is the suffix given to honorary and academic degrees from the university.